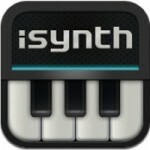 iSynth (not to be confused with the iPhone photo editing app) is a virtual monophonic analog-synthesizer for your iPad. iSynth is designed and optimized for live performances. So far NOT my favorite synth. This is version 1 and there is no support for CoreMidi. The key selling point to this synth is the fact that you can stream the audio from it to an AirPlay device. I do not have an AirPlay amplification system so I could not test this feature. 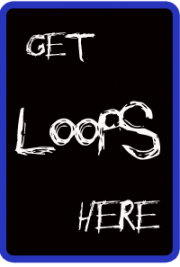 Other than that it’s pretty much your basic monophonic dual oscillator synth for the iPad. I did not like how the knobs behaved. They were difficult to control. I also did not like the fact that this synth can not be flipped horizontally. I use an Alesis iO Dock and it is designed to be used horizontally. – Generating square, triangle, saw tooth and reverse saw tooth waves. – Supporting square, triangle, saw tooth and reverse saw tooth waves.